Very good value (English-style) Indian restaurant. Friendly service. Waiter was not service oriented at all...and the place was freezing...but he claimed not to know how to turn the heating on... probably didn't want to turn on as we were the only 4 people in there. Camarero muy atento, agradable y educado. 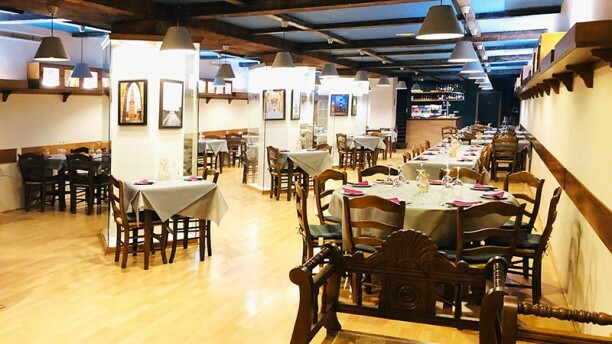 Definitely the best Indian in Valencia,service is so good,the owner is so helpfull when choosing dishes,and great value for price,if you reserve on line you also get 30% of your bill. We thought we would try this Indian restaurant as we live in Ibiza and there are no good ones there. Unfortunately the food here was also poor. An example was the Rogan josh. Tiny pieces of meat swimming in a tasteless gravy and topped with a thick layer of greasy cream. For those used to the standard of food in UK Indian restaurants I would say try another cuisine in Valencia. Good food, in a modern style restaurant with well spaced tables. The owner took a genuine interest in our views and listened carefully to our feedback and observations. The food compared well with other Indian restaurants we have been to in Spain and the bill was exceptionally reasonable. The restaurant has only been open since October and deserves to do well. Price really expensive for an Indian restaurant the food was good but if you pay 40€ for 2 you should expect way more quantity and another level of quality. All was great The only thing weiter forgot 50% discount and had to be warned. Best Indian food I have had in Valencia.